The Best Dental Marketing Blogs from thousands of Dental Marketing blogs in our index using search and social metrics. We’ve carefully selected these websites because they are actively working to educate, inspire, and empower their readers with frequent updates and high-quality information. Dental Marketing newsletter is a comprehensive summary of the day's most important blog posts and news articles from the best Dental Marketing websites on the web, and delivered to your email inbox each morning. To subscribe, simply provide us with your email address. Facebook fans 2,199. Twitter followers 748. Marysville, WA About Blog Roadside Dental Marketing is a recognized industry leader in building and marketing cutting-edge dental websites. We provide our clients with state-of-the-art SEO & content driven Search Engine Marketing. Our team believes that every dentist and their practice should be represented on the Internet with a clean, intuitive, and professional online presence. Facebook fans 1,096. Twitter followers 1,023. Dallas / Ft. Worth, TX About Blog Smile Savvy is the best source for marketing your dental practice online. We offer tons of free tips and advice on social media, local search and more. Facebook fans 1,226. Twitter followers 1,131. About Blog Discover how The Practice Marketers can help you attract more new dental patients, retain your existing patients and boost your dental office’s production. About Blog Grow your practice with social media marketing! An easy and effective solution for dentists, orthodontists, and optometrists. Get started today! Facebook fans 81,542. Twitter followers 3,197. Seattle, WA About Blog Check out our blog for the latest posts featuring topics such as dental text reminders, dental websites, and patient communication software. Facebook fans 2,408. Twitter followers 1,841. About Blog Firegang Dental Marketing is a new patient marketing company. We help dentists all over the country have the practice they desire. Discover the latest dental marketing tips and practice growth resources on the Firegang Dental Marketing blog. About Blog Dr. Anissa Holmes, a Dentist, Business Acceleration Coach, Social Media Strategist, and Best Selling Author is a leader in the dental industry. Dr. Holmes has coached and advised coaches, million dollar practice owners, and startup practices. Facebook fans 4,116. Twitter followers 2,572. Denver, CO About Blog Check out the BigBuzz dental marketing blog for information on all the best ways to market yourself and your dental practice. Facebook fans 574. Twitter followers 1,088. UK About Blog We're the UK's leading practice branded patient membership plan provider, providing a wealth of knowledge and support for your dental practice's growth. Facebook fans 4,024. Twitter followers 4,409. San Diego, California About Blog Having a large and efficient digital presence is vital to a growing business today. Now Media Group puts your potential customers at your fingertips by developing and executing targeted campaigns that attract the customers you want. Over 200 dental practices, law firms, and other small businesses are testament to our success. Facebook fans 712. Twitter followers 404. About Blog Hi, I’m Justin. I help dentists like you attract more patients through by providing SEO for dentists and dental professionals.Welcome to the dental marketing blog where dentistry's best and brightest help you learn the secrets to growing and managing your ideal dental practice. Clearwater, FL About Blog Get the top tips and tricks on how to improve your dental marketing for your practice. Facebook fans 2,428. Twitter followers 668. Austin, TX About Blog Practice Cafe specializes in dental marketing made fresh when ordered. Our blog provides tips and ideas for maintaining & growing your dental practice. Read our suggestions and then give our team a call to see how we can help market you and your practice! Facebook fans 530. Twitter followers 261. Scottsdale, Arizona About Blog Our focus is on orthodontists and dental specialty marketing. Driving more revenues using data-driven strategies is what we do. We want to be your marketing partner. Facebook fans 905. Twitter followers 12,158. UK About Blog Inbound Marketing for Dentists is Our Speciality! We Master It Without Limits Through Ground Breaking Ingenuity and Proven Results. Facebook fans 926. Twitter followers 410. About Blog As leaders in dental marketing, we want to share our success with others. Make sure you check out our dental marketing ideas on our blog! Facebook fans 374. Twitter followers 113. San Francisco, California About Blog The Wealthy Dentist is a blog for dentists where we discuss internet dental marketing, dentist surveys, dental consulting, and dental practice management. Facebook fans 439. Twitter followers 7,974. Facebook fans 13,442. Twitter followers 1,618. About Blog Identity Dental Marketing offers a variety of marketing solutions for dentists including SEO, Facebook marketing, print advertising, internal marketing, dental office marketing and more. Facebook fans 1,269. Twitter followers n/a. Los Angeles, CA About Blog This blog is a series of marketing, advertising and practice management articles by me, based on my years of experience in the dental industry, helping match millions of patients with dentists around the country. Facebook fans 1,426. Twitter followers 9,496. United Kingdom About Blog Looking for a dental marketing blog full of actionable ideas that actually work? You've come to the right place! We have tons of proven dental marketing tips and advice that will cut through the confusion and get you on the path to practice growth. Come and take a look! Facebook fans 92. Twitter followers 12. Chicago About Blog Since 1989, delivering on our promises to maximize your dental marketing return on investment.AIM Dental Marketing's updated blog provides resources to help dentists in different aspects of practice marketing and consulting. Facebook fans 2,926. Twitter followers 3,790. Tampa, FL About Blog A dental marketing company specializing in creating Distinctly Different dental marketing campaigns your prospective patients are sure to notice. Facebook fans 471. Twitter followers 2,573. United States About Blog As dental group practice consultants, Dentrepreneur Solutions allows dental entrepreneurs to accomplish their vision, through traditional and innovative management and leadership development that measures outcomes through efficiency of operations, excellence in best practice standards, and patient care delivery satisfaction and profitability. Chicago, IL About Blog Dental Soiree is a dental marketing agency developed by leading Chicago dentist and social media maven, Dr. Jessica Emery of Sugar Fix Dental Loft. Kick start your digital strategy with us.We help you own your awesome, stand out from the crowd, build a successful practice, and have fun doing it. Facebook fans 216. Twitter followers 241. Orlando, FL About Blog David Schwab, Ph.D., is a professional speaker, author, and consultant who helps dentists grow their practices, educate their patients, and train their teams so that the practices will be more profitable. 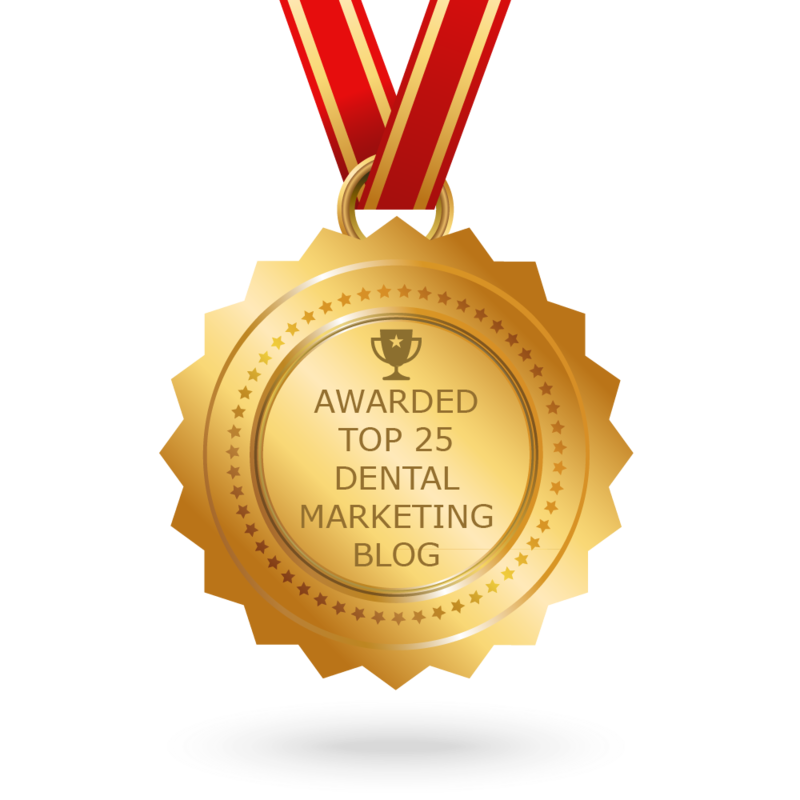 CONGRATULATIONS to every blogger that has made this Top Dental Marketing Blogs list! This is the most comprehensive list of best Dental Marketing blogs on the internet and I’m honoured to have you as part of this! I personally give you a high-five and want to thank you for your contribution to this world.